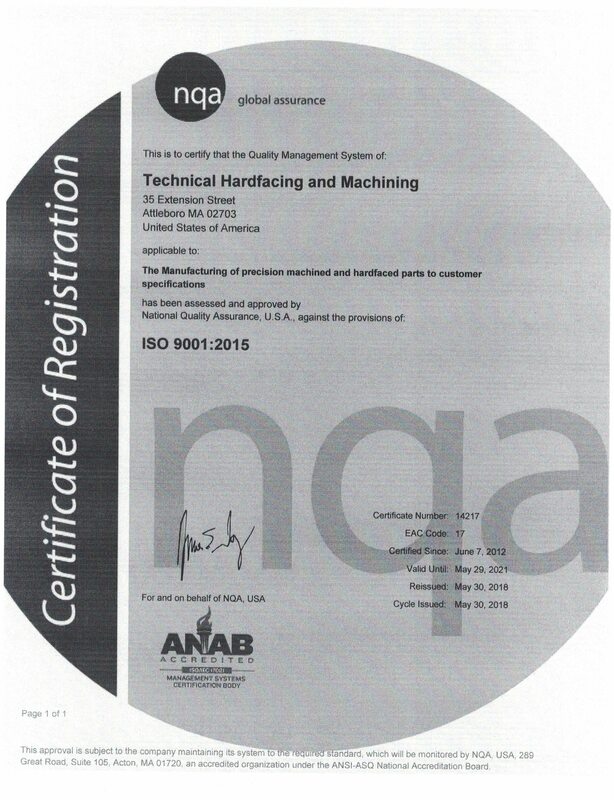 MAGSEAL is respected for its design, quality and product reliability. 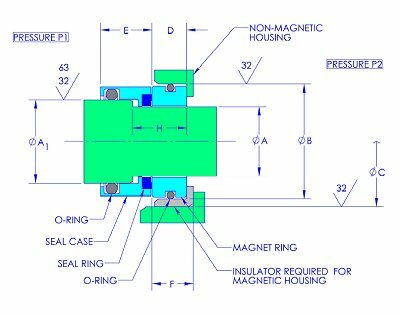 MAGSEALS have been the seal of choice for standard sealing applications and special situations where conventional mechanical seals fall short. 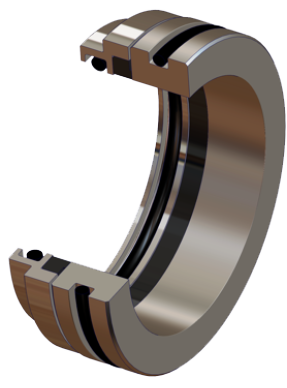 Able to operate in difficult environments, MAGSEALS are engineered to outperform in high speed, high vibration and high altitude conditions, and are excellent replacements for lip seals that are challenged by difficult operating conditions, high torque, run out and axial movement. 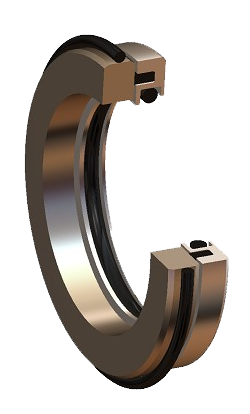 Model 10 MAGSEALS can be manufactured for shafts up to 5 inches in diameter. Consult factory for information. Note: magseals cannot be ordered by size alone. Even in standard configurations materials must be matched to the fluids involved. Please contact our Engineering Department at the earliest practical time during your project, and we will design a seal with materials and features suited to your operating conditions. Size 10-42 and up: .010″ Contact us for information. Maximum forward pressure ΔP = P1-P2 Approx. 100 PSID Contact us for information. Maximum reverse pressure ΔP = P2-P1 2 PSID Contact us for information. Model 20 – High Pressure – For use in most high pressure applications. Pressure-balanced design withstands high pressure while maintaining low face contact pressure. Model 20 MAGSEALS can be manufactured for shafts up to 5 inches in diameter. Consult factory for information. Size 20-42 and up: .010″ Contact us for information. Maximum forward pressure ΔP = P1-P2 500-2000 PSID Contact us for information. Model 30 – Large Size – For large shafts of 5 inches or greater in diameter. 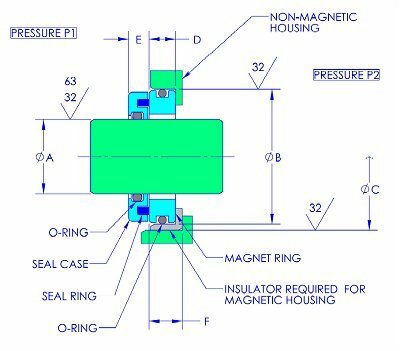 This seal uses magnetic inserts in a steel ring replacing the solid Alnico magnet design used in smaller seals. 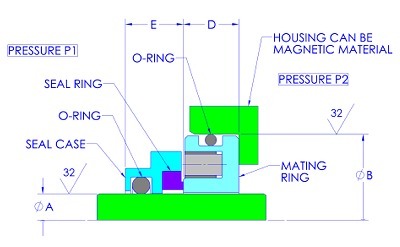 This seal can be installed into a magnetic housing (steel, for example). 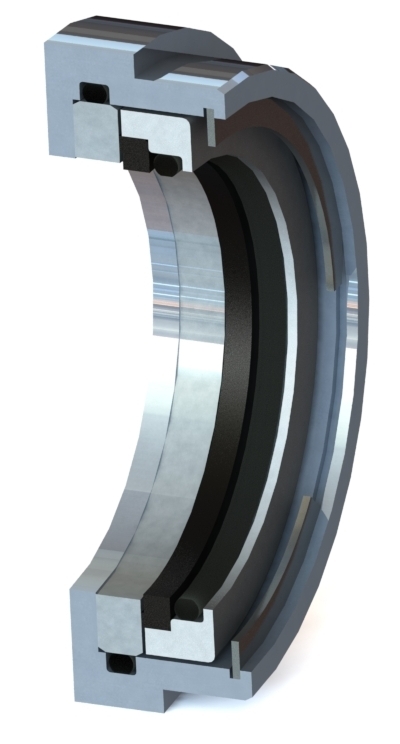 Model 30 MAGSEALS can be manufactured for shafts up to 14 inches in diameter. Consult factory for information. Maximum housing-bore fillet radius .020″ Contact us for information. Maximum forward pressure ΔP = P1-P2 ~50 PSID Contact us for information. 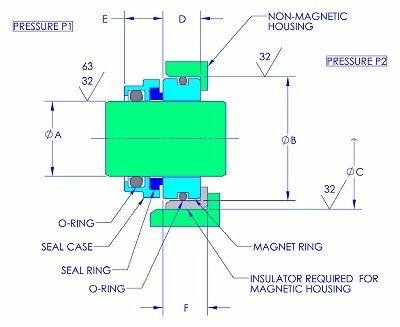 Model 62 – Short-Length MAGSEALS – For use in applications where axial space is limited. 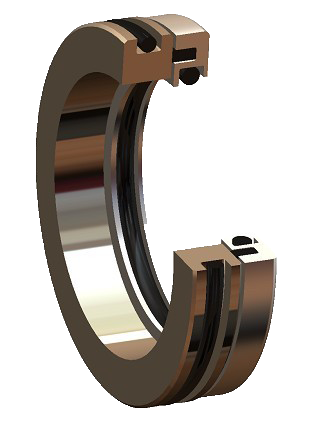 Model 62 MAGSEALS can be manufactured for shafts up to 5 inches in diameter. Consult factory for information. Size 62A-42 and up: .010″ Contact us for information. Maximum forward pressure ΔP = P1-P2 ~10 PSID Contact us for information.